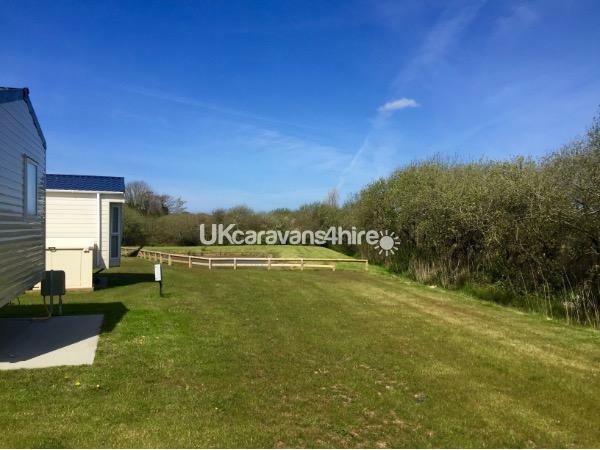 We have a new, luxury DELTA SIENNA, three bedroom static caravan at Trevella Park in Newquay, Cornwall, which is pet friendly and rated 4.5 on TripAdvisor. 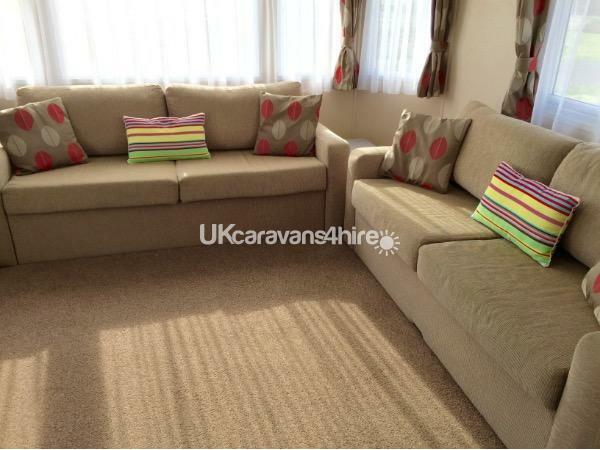 The caravan sleeps a maximum of 8, in one double bedroom, two twin bedrooms and a sofa bed in the lounge. 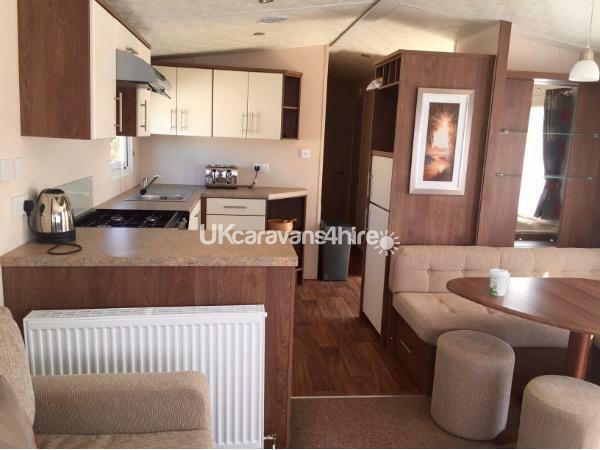 The fully equipped kitchen has a four ring gas cooker, microwave and full size fridge, along with an extensive range of crockery and utensils. 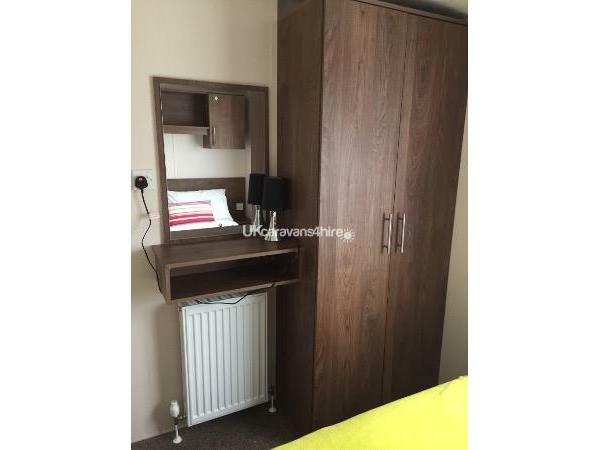 We also provide a hoover, iron and ironing board. Within the lounge is a TV/DVD. 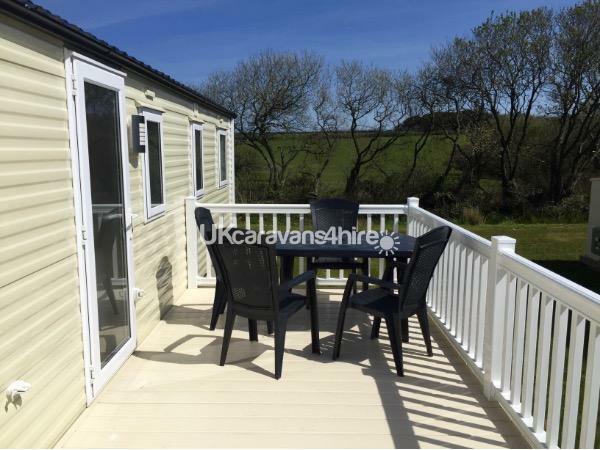 Twin doors lead from the caravan onto a private, sunny and sheltered, enclosed deck with picnic table and chairs. There is a gravel parking space next to the caravan. Bookings accepted from couples and families only. 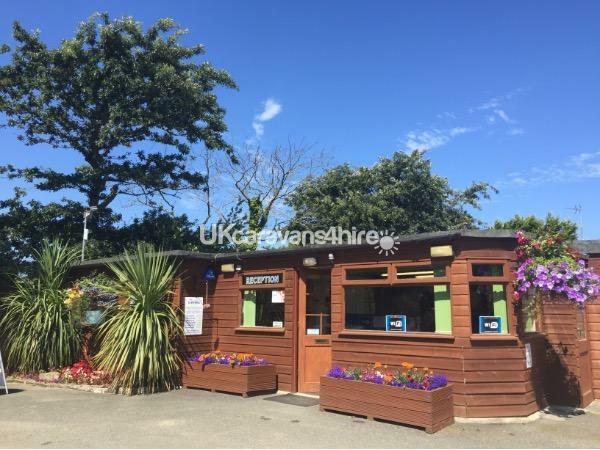 Trevella Park is situated approximately 2.5 miles from Newquay town centre and 8 miles from Newquay airport, the local bus service to town stops right outside of the park. 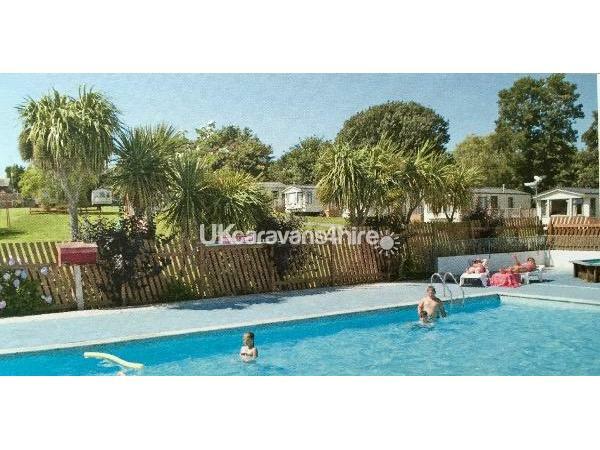 It is also close to the A30 to visit a host of attractions. 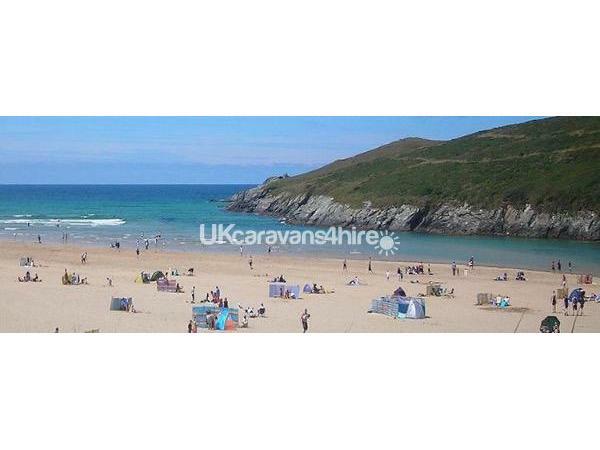 Crantock beach is approximately a 15 minute walk along the Gannel Estuary coastal path. 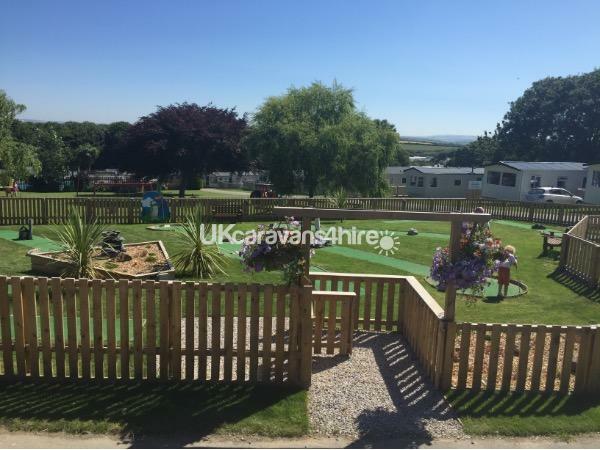 Trevella Park has two fishing lakes, a childrens play area and activities, a cafe, shop, launderette two fishing lakes, mini golf, heated swimming pool, adventure playground, a gallery and bike hire. Newquay has a host of beautiful beaches too, as well as supermarkets, pubs and local eateries. Additional Info: BarBarbecue Facilities, Beach, Bowling Green, Children's Entertainment, Children's Pool, Crazy Golf, Fishing, Grocery Store, Games Room, Laundry Facilities, Playground, Restaurant, Skate Park, Swimming Pools, Take Away Snack Bar. Free wifi.